Probably good he gets out of town. Less presure than playing in front of his homies. Dan will be judged by this single recruit, at least in BloNo. Let a kid in his backyard go to a conference rival with a coach who might be on the way out soon. if Hinson goes so does payton. 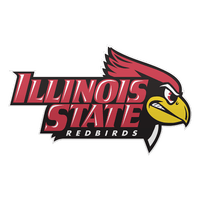 he could be at isu for his freshman season as it seems to be NCAA or bust this season down in Carbondale. Not exactly that simple when one drills down to some of the noise I heard including who was the one that backed out on the commitment, who made it known in the recruiting world that brighter lights desired including Uiuc, eligibility and honoring other commitments Was a question mark as well the shot needs some work. Hard to blame Muller for this kid not ending up at ISU as muller treated this kid more than fairly. Let him be gone for good. Move on ! The casual fan won't care about that. Payton went to Bloomington, committed, then we lost him and he went to SIU. If he kills it there, people are going to question HCDM on losing a prize recruit in his backyard. But not here. Okoro and Payton are the best basketball players to come out of here since what, Seibring? The kid from UHigh that went to Ohio St that I can't think of his name? It's not like we have D1 basketball players every single year that we are fighting over. Seibring...Meh. went to Elon and was a part of (one of) the infamous Grayson Allen tripping games. Keita Bates-Diop was probably the best in recent future and ISU never got a meeting. ISU's meeting with Okoro was a short one, and then we all know the Payton story. Speaking of Okoro, he only played 9 minutes in Oregon's loss to the fighting Zach Lofton's of Texas Southern. Other D1 players recently have been Anthony Beane Jr. (went to NCHS, committed when his dad was an assistant with Jank, decommitted and went to SIU), then off the top of my head there was a gap. Next memory is Brandon Holtz (ISU) and Doddie Dunson (ISU, didn't qualify, then ended up at Bradley). Quibble: Dunson qualified, came to ISU the summer after high school, quit the team a couple weeks in because "Dodie don't do weights." To be fair to Okoro he is playing behind Bol Bol, one of the top Frosh in the country (son of Manute Bol). I don't think his limited playing time is necessarily a reflection of him, and more that Bol Bol is very good. Also, another local guy ISU "missed" out on was Kiel Turpin(NCWHS) who went to FSU by way of Lincoln college. But, these things happen. It doesn't look negative on any of our coaches when one of these guys goes somewhere else. If we land a big one (if we had landed Okoro) it does make us look really good though. Thanks for the Dunson quip, BirdFan. I had forgotten that story. Okoro is more of a traditional 5 where Bol seems like a rich man's Abdou N'daiye and is about 7 foot with guard like skills. Point taken nonetheless. Okoro has started a game, averages 9.5 minutes, 2.7 points, and 2.2 rebounds per game. I said it a few times on this board, whenever I saw Payton and Okoro match up, I preferred Payton. Payton is 6'7 and like 195, maybe. Okoro was at least 6'9 and 230. Payton always kept pace or out dueled Okoro. It was fun watching those two match up the past few years. "But while BHS 6-7 senior standout Chris Payton will play after missing last week’s win over Urbana for disciplinary reasons, Mosley does not anticipate an easy time of it." Seems to have some issues staying on the court this season. Kind of glad he didn't come here, the LAST thing Muller needs is another attitude to manage. C Payton has quit the BHS team. Coaches trying to work with him. We'll, they can think about me first, as long as they don't think about themselves first. Didn’t quit. Suspended by the coaching staff.